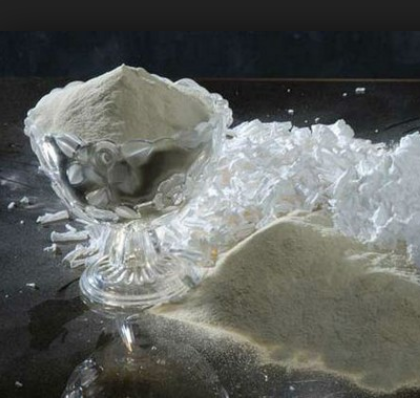 Oxidized Starch has the versatility to be passed through any cooking system and will improve printability, pick, ring crush, fiber lay, fold, Mullen and tensile. They are ideal for use as a coating base or in the coating itself. In a coating formulation, SPAC oxidized starches can provide improved ink holdout, gloss, reduced picking and controlled binder migration.The Oxidized Starch Spacoxy is derived from high-quality maize/tapioca starch. It is widely used in the manufacturing of paper. Since our establishment in the year 2004, we, Surya Min Chem have gained complementary expertise in the manufacturing and supplying of Minerals, Starch and Other Industrial Chemicals. Our company has been superficially acclaimed by its wide customer base for providing them with top-quality products. The offered range of products is manufactured by our professionals using premium quality raw material, which is procured from the reliable vendors of the market. Further, our professionals ensure to manufacture these products in complete compliance with the industry laid standards. These products are highly appreciated among the clients for their remarkable features. The offered range of Minerals, Chemical Powders & Paint is widely demanded in the various miscellaneous industries. Further, offered range of granules is widely used for the making plastic products such as combs, lunch boxes, hangers and bottles. Further, being a client-centric organization, we assure to deliver the consignments at patrons' destination within the scheduled time. Owing to the hard work and enormous efforts of our professionals, we have been able to garner a huge clientele.